Capt. 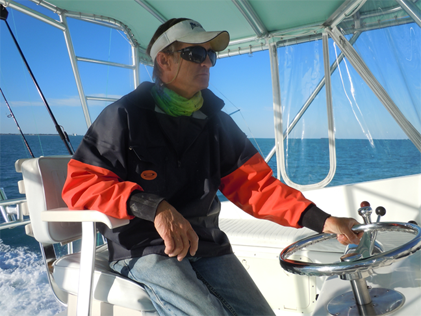 Brad has over 38 years of charter fishing and tournament sportfishing experience. 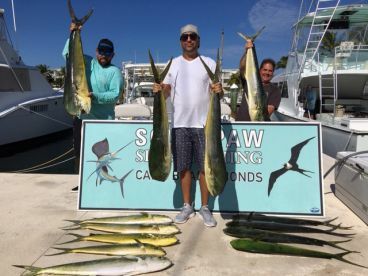 Apart from running a charter business, he's also spent 9 years as a member of the Sanctuary Advisory Council to the Florida Keys National Marine Sanctuary representing the charter boat industry. 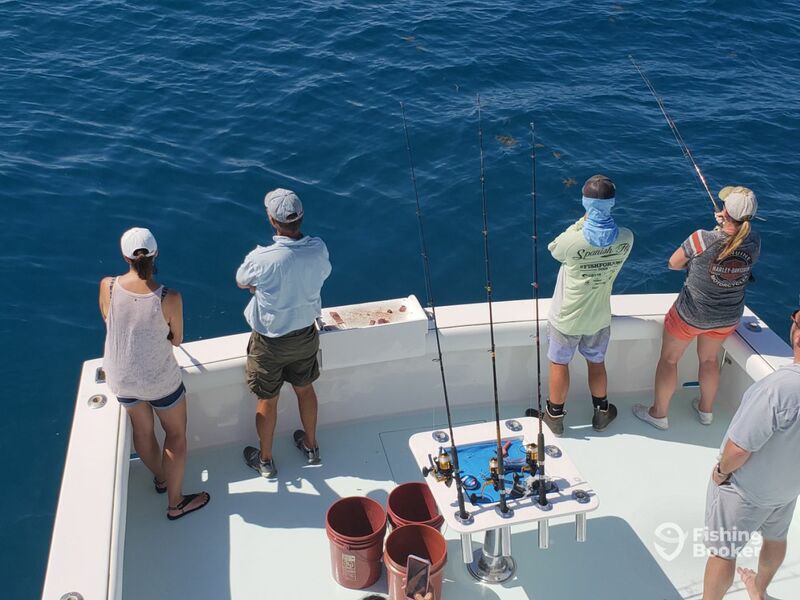 He welcomes anglers of all skill levels on board – he can help you from teaching basics to a first-timer to providing assistance to a seasoned sea wolf. We had a November cold front move through just ahead of our scheduled 3/4 day trip and it was predicted to be blowing pretty good in the morning. Captain Brad recommended that we make it an afternoon trip instead of a morning trip so we could avoid most of the rough weather. 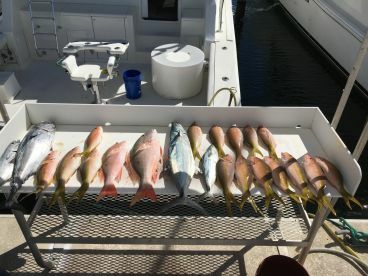 Capt did a good job assessing our crew and ability level, and put us on some reef fish in no time at all. 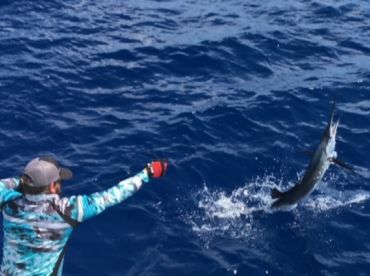 We had a young angler with us that captain Brad and mate Chandler did a great job working with making him feel both comfortable and successful. The Southpaw was in impeccable condition, and one of the cleanest and most comfortable charter boats I’ve ever experienced. The wide beam and spacious cockpit made it easy to fish, even in less than ideal sea conditions. Would definitely recommend Southpaw charter to anyone looking for a clean boat with a professional crew. Thanks again Captain Brad and Chandler for a great day! Thanks for taking the time to write such a kind review. I’m glad Colorado had a good time. Please come see us again. Keith, Thanks for taking the time to write such a kind review. I’m glad Colorado had a good time. Please come see us again. 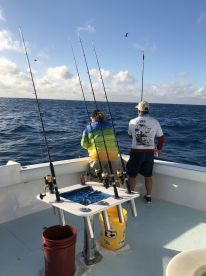 Captain Brad and deck hand Steve will work hard to keep your group on fish all day! Thanks Chris! Glad you enjoyed the day. What a GREAT day fishing!!! Such a good time and i cant say enough about the Capt. and his mate. We were put on fish from the start and caught so much we were worn out. I served 7 years in the Coast Guard and Capt. Brad knows his way around. They took care of us from start to finish. I dont write reviews but just got home from the trip and im doing so this time. We will be back again soon. 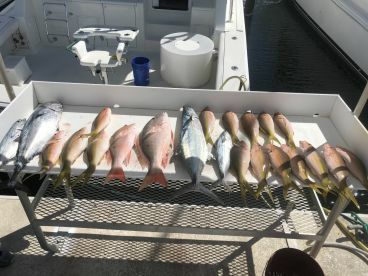 If your in search of a fishing charter—you found it !!! Thanks again Capt. Brad and please pass this on. Alan, I’m glad the day was a success for you and your family. We will look forward to your next trip. We had a great trip! Captain Brad’s experience is immediately obvious, he knows the spots to keep lines tight. His first mate Chandler was exceptional, friendly and engaging - an excellent foil to the captain. The boat is amazing, plenty of space, well equipped, and comfortable. I highly recommend booking this trip. We had a great trip! Captain Brad’s experience is immediately obvious, he knows the spots to keep lines tight. His first mate Chandler was exceptional, friendly and engaging - an excellent foil to the captain. The boat is amazing, plenty of space, well equipped, and comfortable. I highly recommend booking this trip. Thank you Chris for your review. we hope to see you again in the future. Until then, best regards. Couldn’t ask for a better boat or crew to be with in Key West. Boat was perfect for 6 people and crew is more than you expect and professional. If your not sure who to book with in KW as we were, you should go with Captain Brad on the Southpaw. I am 100% sure, you will not be disappointed. Joe, I’m glad you enjoyed your experience aboard the SOUTHPAW. We look forward to seeing you again.